← What’s so Magical about the #MagicBand? So much to do so little time. If you are like me you are trying to squeeze a million activities and trips into one short summer. Sometimes it works and sometimes not so much. I always make a summer “Must Do” list. I do my best to get it all in, but sadly many activities go unchecked and are held over for next year’s list. 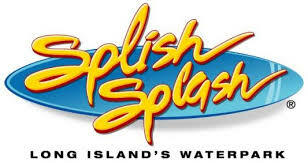 One item from my “Must Do” list is a day at Splish Splash Water Park located on the East End of Long Island. My first visit to Splish Splash was a few years ago. I wasn’t really expecting much since I had never had any interest in water parks and didn’t really consider myself a water park person. The whole walking around in your bathing suit was kind of a deal breaker for me. When I did finally make the day trip out to Splish Splash I was pleasantly surprised and really impressed with the Park. The first thing I noticed was how clean and well maintained the park is. And once you get past the whole walking around in your bathing suit thing it really is a great time. Splish Splash is good because there is something for everyone. There are so many rides, slides, wave pools & rivers to keep everyone in the family busy all day long. In addition to the ride attractions there are several kiddie splash and play areas for little ones. Many of the tube rides are family rides where you can all ride together. The magic height at Splish Splash is ’48 inches. Any child over ’48 inches can ride almost every ride on their own with the exception of Cliff Diver (’54) a thrilling straight drop body slide which I typically avoid, I am not that much of a thrill seeker. My youngest is still not ’48 inches and there is still plenty for her and I to do while the big kids are on the few rides she can’t ride. For the most part those not yet ’48 inches don’t miss out on many rides because they can ride most accompanied by an adult. There are several food stands and a food court with lots of seating. No food is allowed in the park and they do check your bags at the main entrance. Food is pretty reasonable and they offer the usual amusement park fair of chicken fingers, fries and burgers. They also have a Johnny Rockets in the park which is a big hit with my kids, definitely get a shake if you go there they are delish! The wave pools and the lazy river are super popular with my kids and they would stay in them all day if I let them. My favorite ride is the bootleggers run a water roller coaster that was added last year. I have always had pretty good luck with lines at the park because I seem to pick overcast days which I would recommend if you can although it’s practically impossible to predict the weather. The overcast days do seem to keep the crowds down. If the lines are really long they offer a H2O pass which allows you to go to the head of the line and costs $25 per person. Admission to the park is $41.00 for general admission at the gate and $31.00 for kids under ’48 inches and seniors. You can also pick up coupons at PC Richards or Dunkin Donuts and you save $4 per ticket. In addition if you buy online in advance tickets are discounted. They also charge for parking $20 per car. It’s definitely worth the trip and a great day with the family. My only suggestion is to get early for a good parking spot and so you can hit the rides early before the park fills up. This entry was posted in Amusement Parks, Family, Family Fun, Life, Summer, Water Parks and tagged Amusement park, Johnny Rockets, Long Island, Splish Splash, summer, summer must do, Water park, Water slide, Wave pool. Bookmark the permalink. We just went yesterday – kids had an amazing time!